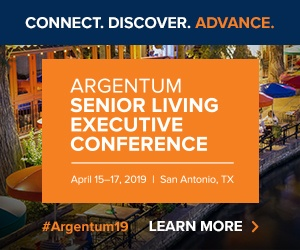 Senior living industry association Argentum on Tuesday announced new efforts to recruit, retain, and measure the senior living workforce. At the forefront of those efforts is an apprenticeship for nursing assistants and caregivers in senior living, which the organization is collaborating on with a steering group that includes industry stakeholders Brookdale Senior Living (NYSE: BKD), Commonwealth, Country Meadows Retirement Communities, Life Care Services, Merrill Gardens, OnShift, Trilogy Health Services and Vi. The apprenticeship aims to create some standards for on-the-job training in light of the fact that many frontline caregivers are seeking to hone their skills in topics such as dementia care and community safety. The industry association also announced the “Workforce Insight Report,” a new effort for Argentum Premier members meant to help measure workforce metrics in senior living and support human resources and operations. Senior living providers can use the Workforce Insight Report in their own annual wage analyses, comparisons among local competitors or health care providers, and staffing plans, Argentum noted. This wasn’t the only initiative Argentum touted during its annual conference in San Antonio, Texas. The industry association also announced a new partnership the National Restaurant Association’s ServSafe program. Under the venture, Argentum members will be eligible for a discount on course materials that can be used to prepare for the ServSafe certification examination. Prior to joining Argentum, Balda was an executive with the National Restaurant Association. And Argentum highlighted the progress of its 2018 housing workforce initiative, ”Senior Living Works,” which is aimed at raising awareness about the industry as a whole. Since its launch last year, Senior Living Works has gained more than 550 representatives in various industry roles, and now includes an online academic resource to identify and connect with college programs related to senior living careers. The next phase of the program is meant to help tell job seekers about the many opportunities in a senior living career.